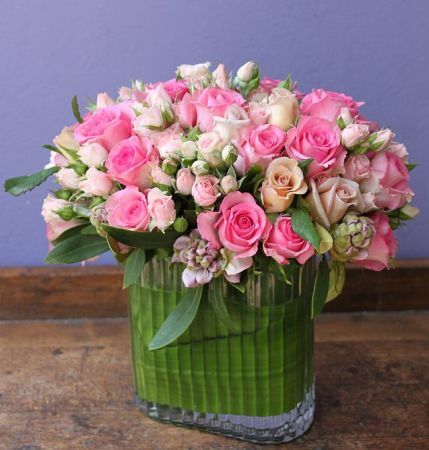 This stunning arrangement of bella rosa and small roses, foliages and seasonal flowers is one of our favourite items. Order online and get free delivery to the Melbourne area. Buy now and save!